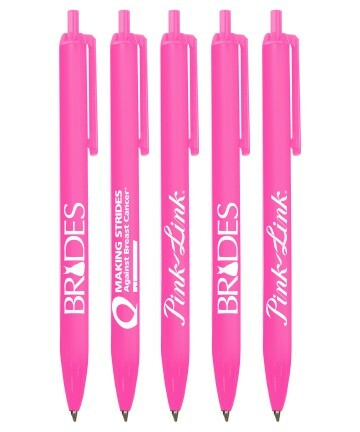 Union Printed, Assembled in the U.S.A.- Beast Cancer Awareness Pink Colored Click Ballpoint Pen, Promote your Cause with this Slim Click Pens, smooth writing ink. Union Bug Available at No Charge! • Imprint Area: 1 3/4" x 3/4"